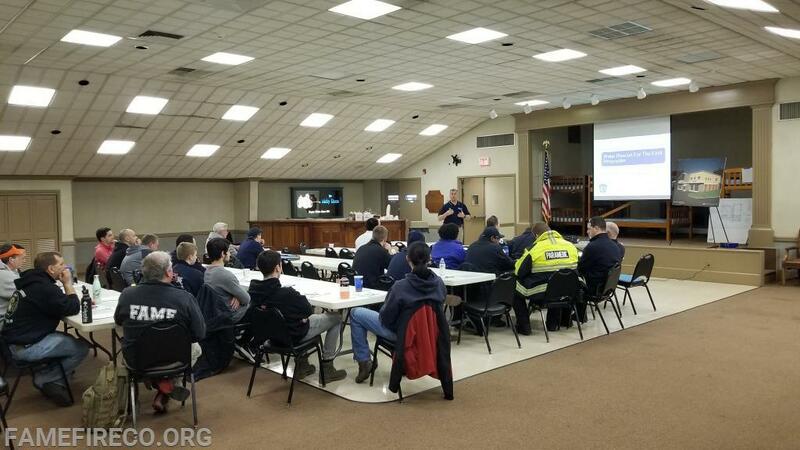 The Fame Fire Company hosted the Pennsylvania Fish and Boat Commission Water Rescue and Ice Rescue Awareness courses taught by WhiteCap Water Rescue Training, LLC. Participants included members from the First West Chester Fire Co., Good Will Fire Co., and our EMS partners at Good Fellowship Ambulance & EMS Training Institute. This was the first departmental trainings in 2019; with many more scheduled for the West Chester Borough Fire Department.